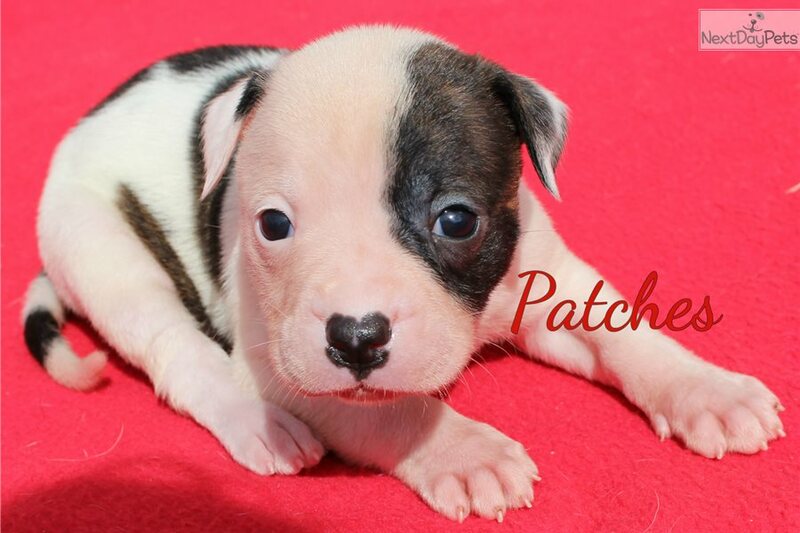 This American Bulldog nicknamed Patches sold and went to a new family. 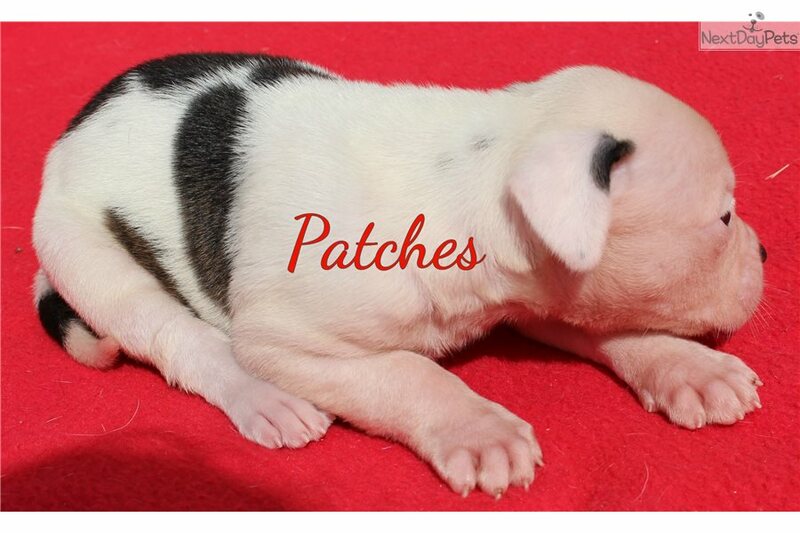 American Bulldog puppies born to South'n Territory Pups' Georgia and Reynolds' Iron Hoss on 1/14/18. 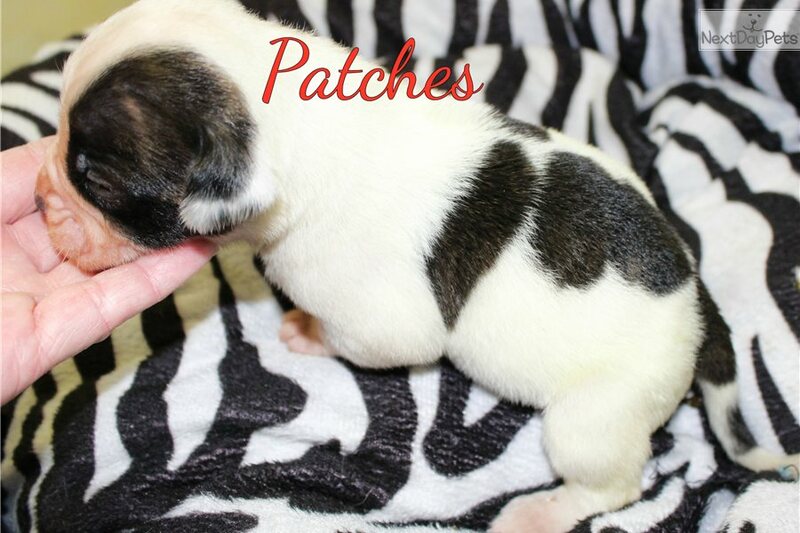 Patches is just too sweet. 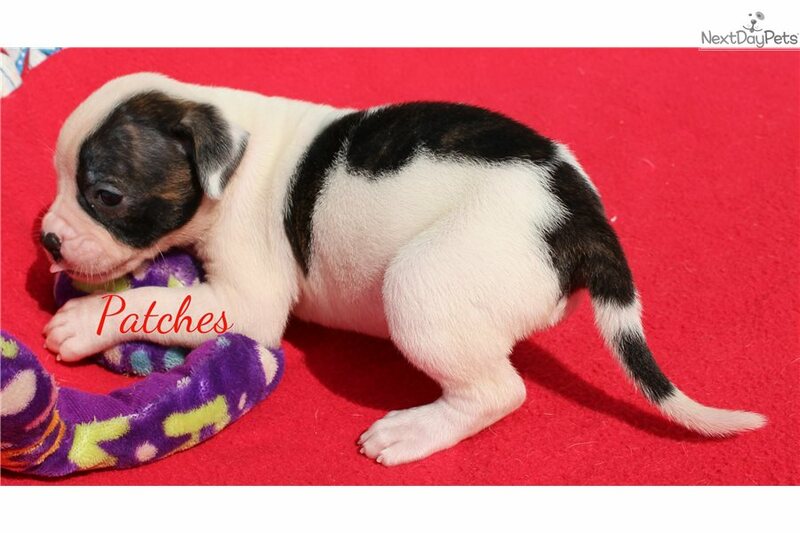 Puppies come with NKC Registration, 1 yr. Health Guarantee, Initial Puppy Shots, Dewormed, Puppy Care pack, etc. Limited Reg. 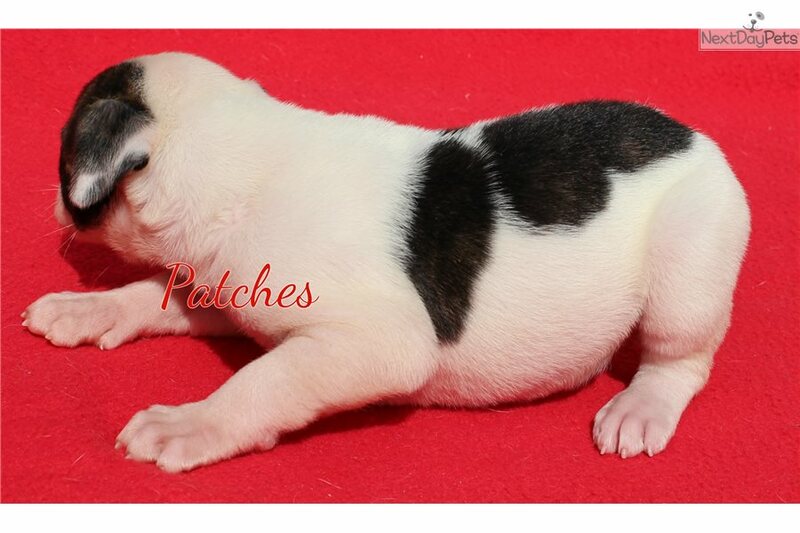 with Spay/Neuter agreement $750; Full Reg with breeding rights $900. We are Breeders Registered with the GA Dept. of Agriculture and located in Cobbtown, GA. 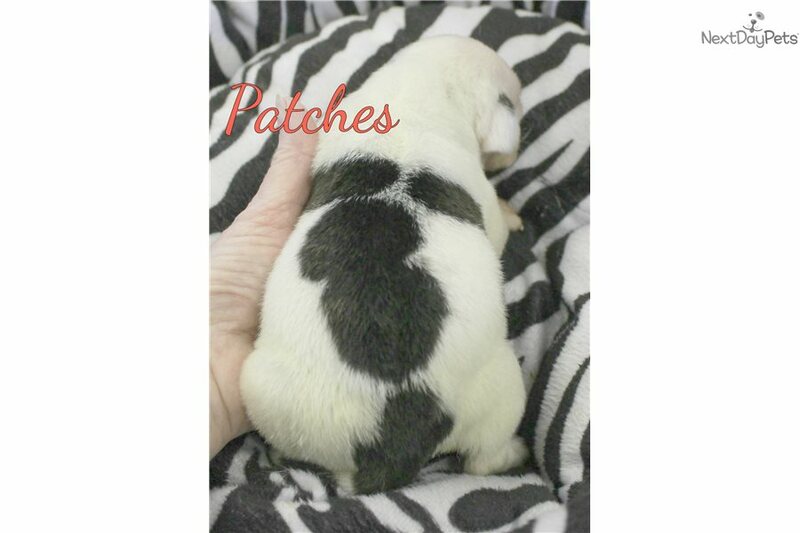 Check out our website at SouthernTerritoryPups.com or Facebook page ... Gary Cress, Sr. Also feel free to give us a CALL if you have any questions or would like to come check these babies out. 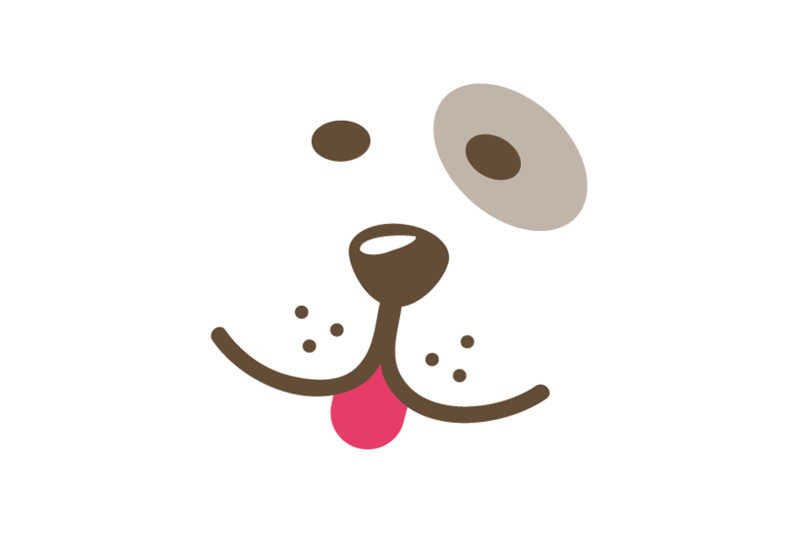 CELL 443-618-7598.